1. The RRs do not exist just to entertain you. No one owes you this! 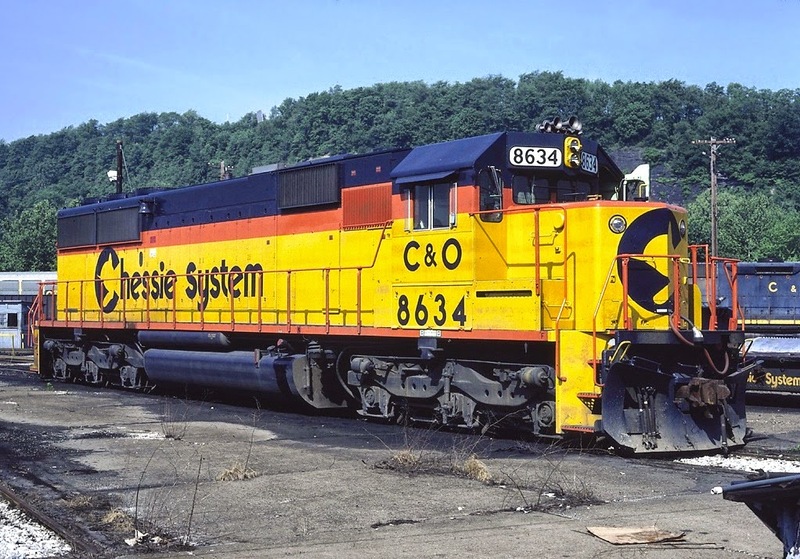 It’s easy to forget this, with all the news of locomotives currently undergoing restoration and from all the photos of streamlined engines brought out in a parade, but the primary purpose of the railroads is to move things from one location to another. They are under no obligation to give railfans perfectly staged picture, or glimpses of a rare locomotive, or to run a heritage program in the first place. Heritage locomotives and steam specials are, at the end of the day a PR stunt. They’re undoubtedly one of the best in the world, I’ll give you that, but they are not the railroads’ primary reason for being. They are the extra mile, in solid iron form. Privileges of any sort tend to be earned, and in this case, special programs put on for the public come with the understanding that the guests from outside the railroad industry are welcome to look, listen, and photograph, but must maintain a healthy respect for the dangers inherent to the railroad industry. Railfans who feel entitled to forget this, or who lack the gray matter to understand it in the first place, are a liability to themselves as well as to the railroads. No one wants to host an event if it may result in a member of the public being hurt or killed. 2. Being a railfan is not the same as working for the railroad. This should be as obvious as saying binge-watching House does not make you a doctor, but some people do not get this. You can read and memorize every book about trains you can find, wrack up an impressive photo album, maybe even volunteer at a museum or at a heritage operation. That’s an accomplishment, but it’s a completely different body of knowledge and experience than a person would get if they were actually working for the industry. Many of the people I know who do work in the industry (closeted railfans or not)would be quick to point out that the glamour of working for the railroad wears off quickly. The job is not playing with a 1:1 scale model. It’s calls to come in for a 12-hour shift at 3 AM. It’s missed holidays, birthdays, difficulty committing to any invitation. It’s danger to one’s own life and limb, and being the source of that danger to those who trespass into the path of their trains. Railfanning as a hobby carries none of these downsides. 3. The laws about where and what to photograph DO apply to railfans. Yes--it’s unpleasant to be told ‘no,’ and yes--this is partially another example of our society becoming irrationally concerned with security issues, but the property owners may have some legitimate reasons for wanting to discourage photography. Careless activities on the part of a few photographers make all of them seem like a liability. The railroads do, also, transport a number of sensitive materials--military equipment, extremely toxic or explosive cargo, methylamine. These items have the potential to be used criminally , even for terrorist purposes. (This, I believe, is what is motivating the railroads to withhold information about the routes by which Bakken crude is shipped, though I do not believe they are in the right to do so.) However small the risk is that criminals would use a railfan’s photographs to locate their next target, it may be a risk that the companies wish, and have the right, to avoid. 4. Do not put music in train videos. Don't throw off my groove. 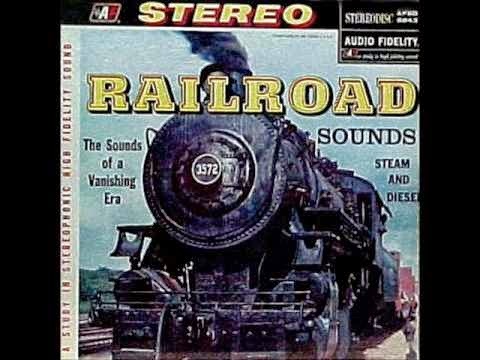 The people who watch videos of trains want to hear the sounds that the engine makes, not listen to a soundtrack. Not much elaboration needed here. 5. No one likes a know-it-all. Railfanning seems to attract the sort of person who likes to memorize details and rejoices in facts and figures. Too many of them tend to forget that some people come into the hobby for reasons other than scholarship itself, or they may be relatively new to the interest and simply haven’t had the time to learn as much with several decades in. There’s nothing wrong with sharing personal knowledge--it’s what makes life interesting after all--but these people act like not knowing a certain little fact, or misidentifying a piece of equipment, is a personal insult. It’s a weird response, and arrogant. Worst of all, it’s extremely offputting to people who may just be getting into railfanning--why participate, when you receive a message that simply liking trains isn’t good enough? 6. Don’t assume that lady railfans are ignorant. -Do you know what the width of the track is? -Do you know that there are names for the wheel arrangements on a steam locomotive? -Do you know that the way they blow the horn means something? -Did your husband bring you here? I don’t blame people for being surprised to meet lady railfans--statistically we’re outnumbered. But we have the same access to information and images that the men do, and there’s no need to assume that we are especially ignorant. posted on these little sheds. Spending a time around railroad equipment and becoming somewhat familiar with the way the industry functions puts railfans in a position to become another failsafe in the system. 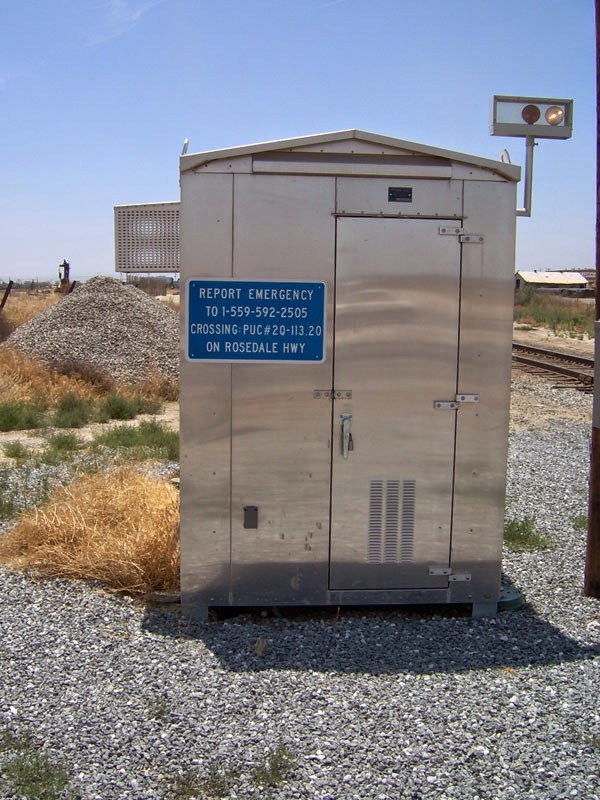 Both BNSF and NS have programs designed to engage members of the public and provide them with the proper venues for reporting suspicious activity along the tracks, and almost all level crossings have a phone number posted somewhere in the vicinity where malfunctioning gates can be reported. Members of the public are invaluable for reporting potential suicides, children or intoxicated individuals wandering too close to the tracks, thieves or graffiti sprayers lurking around the tracks. Even with modern technology, there is only so much about the track conditions and what’s happening on the train behind the engines that the crew and dispatchers can detect. 8...But know what is actually worth reporting. 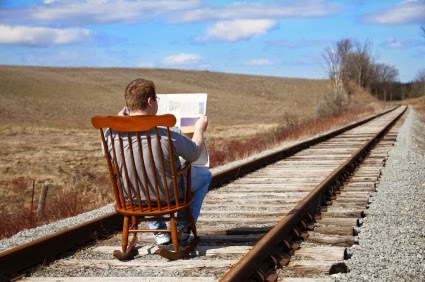 While the public can also lend a hand by reporting hazards to life and property, they can also make themselves a nuisance by reporting things that are beyond the railroad’s physical or legal ability to change, or are none of their business in the first place. Train operators and railroad managers can not, for instance, choose not to blow their horns at grade crossings if members of the public find it inconvenient. They are required to do so by federal law, and can only run without horns after getting a special permit from the FRA and installing special gates at the crossing. Nor can they do anything to reduce the noise of trains passing or shunting activity--it is inherent to the physics of the industry. Finally, short of any actual violence or verbal threats, it is not a railfan’s job to report what he or she thinks is bad behavior on the part of the train crews. The railroads already have procedures and people in place to deal with infractions, and there may well be a legitimate reason why the crews have deviated from the rule book. 9. 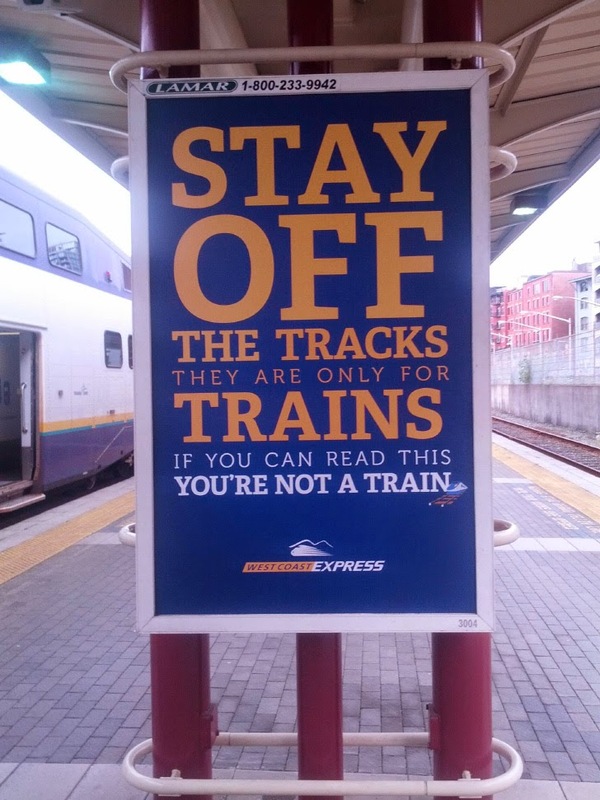 Trains do not hit pedestrians. This is a gripe leveled at the way news outlets tend to report on fatalities on the railroad tracks. Last time I checked, trains do not run on sidewalks, so it is not physically possible for them to hit pedestrians. What happens is that people trespass onto railroad tracks, and are subsequently killed by a train. If they had remained in the areas specifically designed for humans, they would still be alive. 10. Joking about crashes and turning them into memes is not funny. People get hurt or killed in these incidents. Property gets destroyed. The witnesses and the crews--especially the crews--live with the memory of the incidents for their entire lives. Turning it into a cheap source of entertainment is crass. If you’ve got more to suggest that aren’t listed here or on the first article, feel free to list them in the comments.